Our high speed lives are consistently being placed on hold. We are told to wait for our food, wait in line, wait for the results, and wait our turn. And through all this waiting, we learn a thing or two about patience. While we are taught to value this quality from a young age, it can often be quite difficult to put into practice. For me, learning to be patient helped me be a better athlete and a better leader. 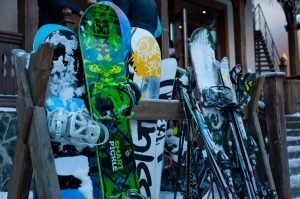 As someone who enjoys surfing and snowboarding, I noticed that I spend a significant amount of my time waiting during these activities. While surfing, I honestly spend most of my time in the water sitting on my board waiting for the right wave to form. When snowboarding, I spend almost half of the time sitting on the chairlift or tightening my bindings. I used to grow impatient with the amount of time that I spent just waiting. However, over the years, I have worked to change my perspective. Instead of becoming frustrated, I decided to use those moments to appreciate the beauty around me. Now, I take the time to appreciate the sunrise over the mountains or the disappearing marine layer in the morning. I make sure to look at the color of the water, the shape of the sand on the beach, or the hundreds of pine trees covered with snow. This simple act of noticing helps me to remain present in my experiences. I realized I could use a similar tactic in my leadership practice. 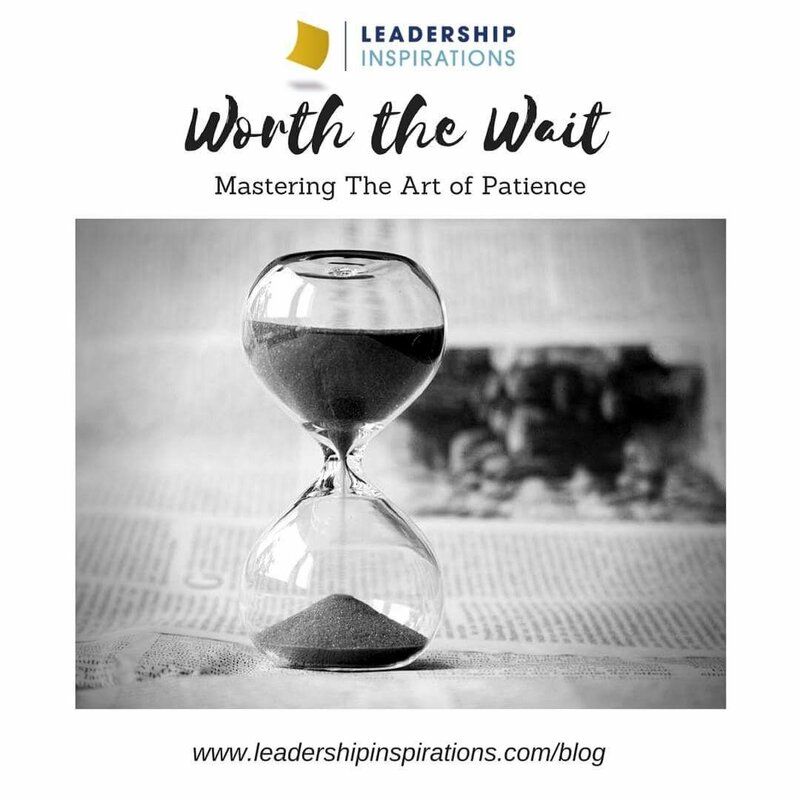 Waiting can be one of the most challenging aspects of being a leader. Leaders have to wait for all kinds of things: to reach their goals, to connect with their followers, to overcome a challenge, to make an impact. 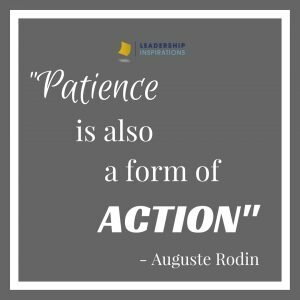 It’s important to remember the words of Auguste Rodin, “Patience is also a form of action.” Exercising patience and diligence during these times can be difficult, but it’s a crucial part of thoughtful and considerate leadership. I’ve found that taking time to be thankful for what is around me helps me focus on what’s really important. When I appreciate the important things in life, I am generally a more content and joyful leader. This “attitude of gratitude” has a ripple effect and actually helps my team perform at its best too. All that time on the mountain or out on the ocean also allows me to think about what’s coming up next. Whether it’s the next run or the next wave, I have time to reflect on what happened before and what I would like to do differently moving forward. 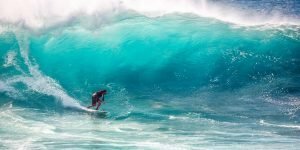 It can be as simple as wanting to try to get to a different part of the mountain or thinking about sliding my feet further forward on my surfboard. The time that I used to waste, I can use for self-reflection and improvement. Critical reflection is also important to great leadership. Reflecting on a situation, individual, or problem helps me to create a “best course of action.” This is not necessarily the solution that is the easiest, the quickest, or even what’s best for me personally. This “best course of action” must be considerate of all factors and people and should result in positive change for the entire team. A regular practice of reflection as a leaders helps us to be agents of transformation, growth, and development. As my Grandmother likes to say, “Patience is a virtue,” and now I finally understand why. Patience is key to making the time to reflect on the beauty of the world and the important things in life. It also allows us to be present in our fast-paced lives and actually think about the best way for us to influence others. I’m still learning to practice patience every day. There will still be days that test me, and in those times I remind myself that the best waves in life are worth the wait. I heard a story recently about a daily practice in a monastic community. 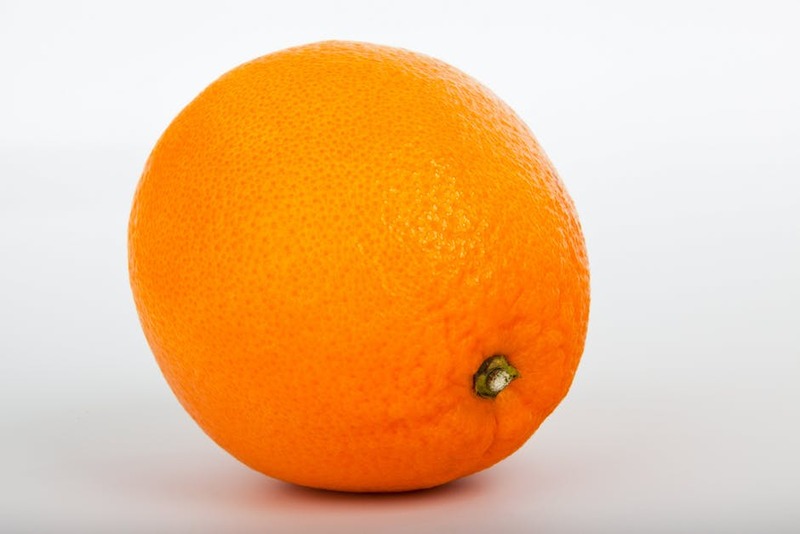 The task is simple: spend an hour peeling an orange. The catch: you must be actively peeling the orange throughout the entire hour. I urge you to at least give it a try – see how long you can last! And if that seems too daunting of an exercise, then I encourage you to try an exercise in Mindful Eating. Essentially, the point of these exercises is just to slow down and enjoy the food that’s in front of us. Doesn’t sound difficult, right? Chew slowly, savor each bite, and see just how long you can take to finish your meal. It’s harder than you’d think! But, by eating slowly, you can actually train yourself to delay gratification, to be more aware and less impatient. 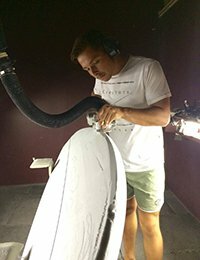 Cole Latham is currently a senior in the Argyros School of Business at Chapman University. When he isn’t working, you’ll most likely find him at the beach or chest deep in the snow; depending on the season.